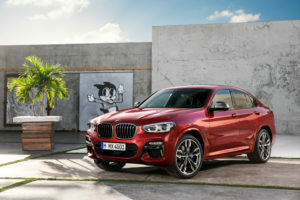 BMW will launch a lighter, next-generation 2019 X4 in July, and repairers can expect higher-strength steels and some aluminum in the body-in-white. A diagram provided by BMW shows aluminum elements including the strut towers and a small crossmember on the floor. Door rings, rocker rails extending back to the quarter panel, both kickpans, the suspension tunnel and a roof frame crossmember are among the ultra-high-strength steel parts. 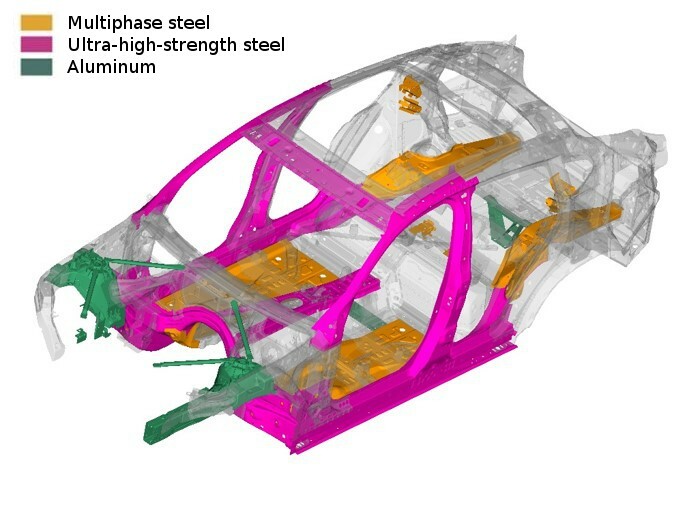 Multiphase steel elements include the floorpans and roof frame rails. Such ultra-high-strength steel often can’t be sectioned, heated, pulled or otherwise repaired, an important consideration for BMW certified shops working on the structure, but also a restriction to remember for shops doing cosmetic work on the exterior. A BMW spokeswoman was checking into the metal or metals used in the exterior panels and closures. The strut towers aren’t the only notable structural aspects of the suspension for collision repairers. Active air flaps come standard. A 75 percent larger heads-up display on the windshield is optional. The car has voice and gesture control, the latter which works off of a 3-D sensor in the center console. BMW-to-BMW communications will warn drivers of hazardous conditions — such as “an accident, a broken-down vehicle, dense fog, heavy rain or black ice” — which could cut down on frequency. It also presents another system that shops must ensure works correctly. X4s come standard with “Active Protection,” which tightens seatbelts and closes windows and the moonroof (also standard) automatically when a crash is likely. A standard advanced driver assistance suite includes autobraking, including for pedestrians, and “Speed Limit Information,” which scans the road for speed limit signs and lets you know if you’re speeding.